There's going to be hell to pay as ATROCITUS continues his lone search for ABYSMUS and more poisoned members of his corps die! 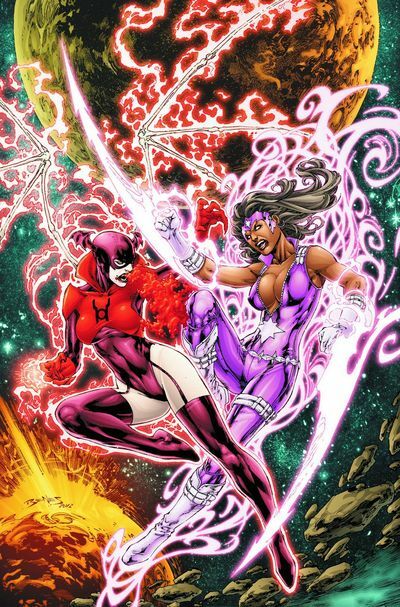 RED LANTERN BLEEZ vs. STAR SAPPHIRE FATALITY! With the entire corps poisoned, only a handful of RED LANTERNS are left alive!